What happens when a group of students, church, and university leaders get in a room to share about why they care about human freedom from sexual oppression and abuse? You begin to see a power at work. It’s the power of empathy. While introducing ourselves by name and organization, we were also asked to explain briefly why we are involved in anti-trafficking efforts. I watched a movie that broke my heart. I went somewhere and saw the injustices with my own eyes, I couldn’t forget them. I heard a story that captured me and begged me to seek worth and dignity for others. I saw that God was looking for friends to heal the broken places. God found a friend in me. I saw my friends caring about those who were enslaved and it infected me. The thread that I see is the power of empathy. I am seeing how God uses story to help us see the image of God in people both in the broken and in those who do the breaking. I am seeing how God will help us to be more honest about where we really are and where we would like to be someday. I dream of communities where we are safe to share these types of vulnerabilities, to be able to share our pains and our passions (they often are related) free of judgement–so that others, too can find ways to work for justice in the world, to become creative in our collective solutions, to be so compassionate in our care. I’m currently reading a book called Journey Toward Justice: Personal Encounters in The Global South by Nicholas P. Wolterstorff. One of the quotes found in it’s pages vividly supports what I’m hearing today. Kids, teenagers, and young adults will become a part of the significant work of the church when they begin to identify and empathize with hurt that they see in the world. This is often the launching point that begs us to collaborate and trust them to come up with creative and compassionate solutions. Teaching kids and youth compassion begins with helping them listen well, notice more, seek to understand, and ask better questions. These are the places where they learn to feel for others. Places like these help them to shift from caring mostly about who’s looking to caring more for who’s hurting. Empathy becomes the fuel (together with God’s precious and unique work in their lives) to be a part of the struggle and the hope of justice in our world. How are you helping kids, youth, or young adults listen well? To notice and feel? What are some ways you can unleash their creativity to bring ideas for change to the church? 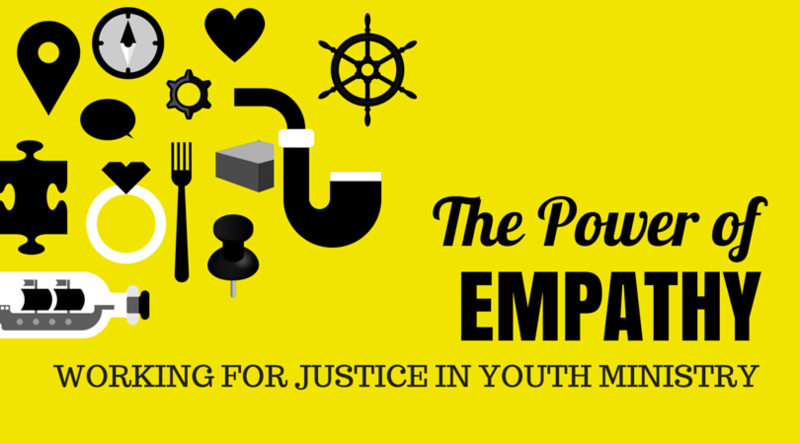 Where is God using empathy to lead a justice movement around you? I appreciate the description of how empathy can transform the hurting people in the world, and how empathy is a great example of the Gospel. We are releasing a new Empower Youth Prevention media tool kit that teaches kids to avoid all forms of exploitation, and how empathy combats the root causes of different forms of exploitation even the worst kind as child sexual exploitation. Guido, thank you for reading. I would love to learn more about your tool kit. Empathy plays such a huge part in combating root causes. I want to offer things that help teach empathy in more creative ways. Would you be open to discuss a way to promote this youth prevention program. We are finishing up our revisions by next month, so the program will be ready to be used by anyone who works with youth. We can schedule a phone appointment if you want.